Ani bird. There are three subspecies of ani bird that closely resemble each other. 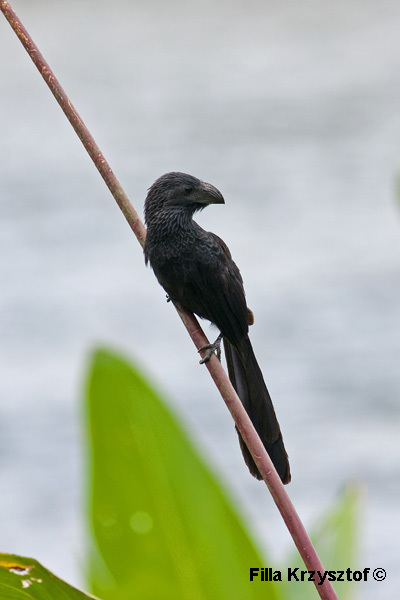 From the description based on habitat it is either the Greater ani or the Smooth-billed ani. The species is related to the cuckoo but does not lead the same parasitic reproductive life.